[11/18/2017 @ 6:38 PM] Book this fare on: Virgin Atlantic, Priceline, BookingBuddy, Travelocity, Orbitz, CheapTickets, Expedia, Hotwire. [11/20/2017 @ 6:48 PM] UA exits fare sale. Fare gone. Removing from deal list. 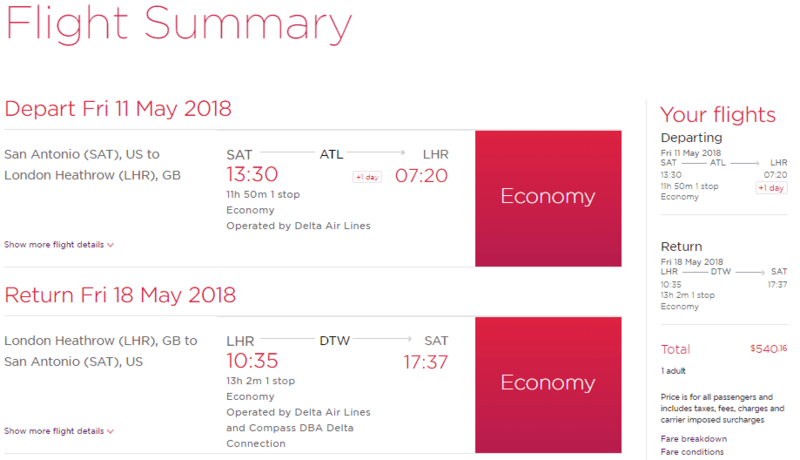 Delta and Virgin have round-trip flights from Austin or San Antonio (AUS/SAT) to London (LHR) or Manchester (MAN) for $505-$541. Flights in May. 7-day minimum stay required. Flight may operate as a Delta code-share. Expect prices to fluctuate +/- $45. Note: San Antonio to London is available, but not San Antonio to Manchester. 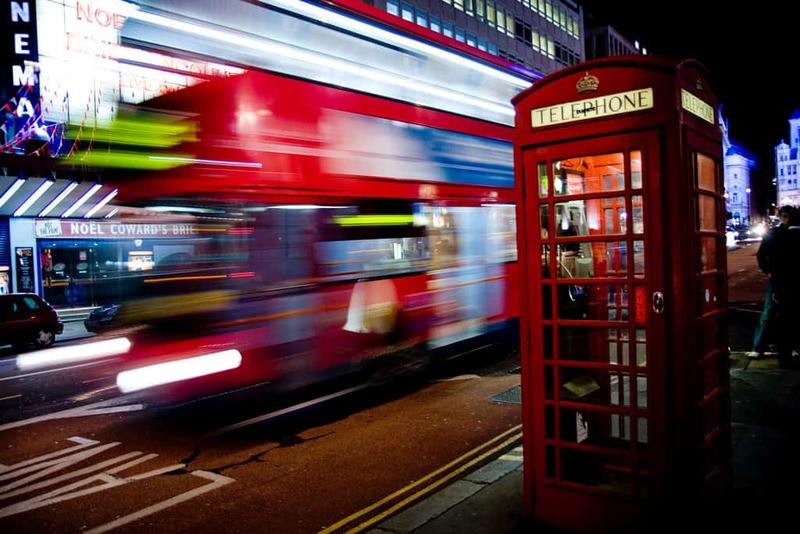 London – Example Dates: (Priceline / Virgin Atlantic) May 11 – May 16 / May 16 – May 23 / May 23 – May 28, Jun 04, 11, 18, 25 / Other dates: There are more dates available than the ones we list here, experiment on your own. Manchester – Example Dates: (Priceline / Virgin Atlantic) May 11 – May 16 / May 16 – May 23 / May 23 – May 28, Jun 04, 11, 18, 25 / Other dates: There are more dates available than the ones we list here, experiment on your own. Do you want an e-mail notification when new deals are found? Subscribe to the Escape ATX e-mail notification list and never miss another deal. I was able to pull this fare up on Virgin Atlantic and Priceline. Screenshot taken at 6:40 PM on 11/18/17. Book this fare on: Priceline, BookingBuddy, Travelocity, Orbitz, CheapTickets, Expedia, Hotwire.